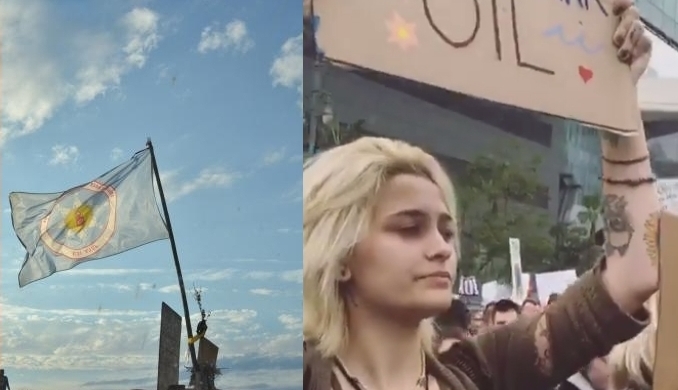 Paris Jackson joined thousands in a Standing Rock NoDapl march. Based on the reports, the only daughter of the late Michael Jackson was showing her support for the Standing Rock Water Protectors against the Dakota Access Pipeline. Water Protectors hoisting signs and chanting slogans gathered Sunday near Pershing Square and began marching about a mile for a rally at the Edward Roybal Federal Building. Opponents say the proposed $3.8 billion Dakota Access pipeline threatens the water supply and sacred sites of the Standing Rock Sioux Tribe. Responses to "Paris-Michael K. Jackson joins thousands against the Dakota Access Pipeline in Los Angeles "